Phoebe Shagan specializes in Medicare solutions, life, final expense and long term care insurance. 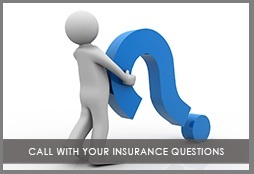 She has been an independent insurance broker for more than 10 years and only works with A-rated insurance companies. Her 50+ years in the health care profession gives her an in-depth understanding of Medicare Supplement, Medicare Advantage, Prescription Drug Part D Plan and health insurance. Because she has worked in hospitals and doctor’s offices Phoebe also has a better understanding of the health care system. Phoebe is licensed in New Jersey, New York, Delaware, Pennsylvania, New Hampshire, North Carolina, Florida and Arizona. She is a member of many professional organizations that help her keep up with the changing insurance environment and is a member of several Chamber of Commerce organizations enabling her to stay in contact with the business environment and be able to assist her clients.